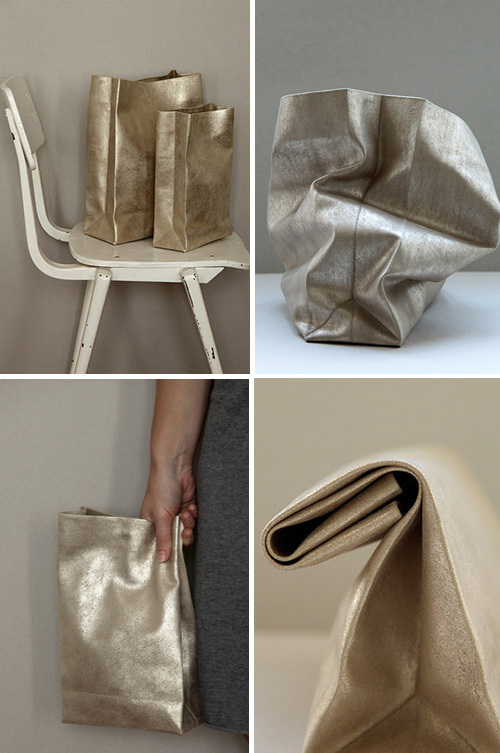 Today I’m loving … these silver and gold purses. These beautiful ‘paper sack style’ bags are carefully handcrafted from a single piece of fine suede. A perfect Christmas gift! Yay, they are stunning, aren’t they!? Thank you for linking back to my blog. I’ve been seeing these around a lot and I really love them! A clean, “poor ” design in a luxurious material, It looks great! i could see taking my lunch in this when i sub. kind of glam up my day!